There’s something so appealing about visiting a lighthouse. It may be the magnificent scenery, or the history it represents, or simply the romance of the sea. From the upper Cape just over the bridge, to the tip of the Cape in Provincetown there are countless lighthouses to be explored. 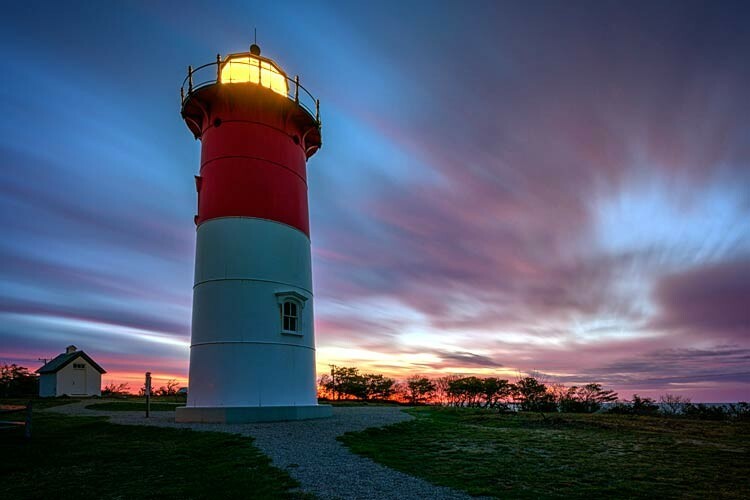 Right in Falmouth, Cape Cod we have our very own Knobska’s lighthouse which is one of the most photographed lighthouses in New England. It has often been the site for a romantic proposal at sunset. 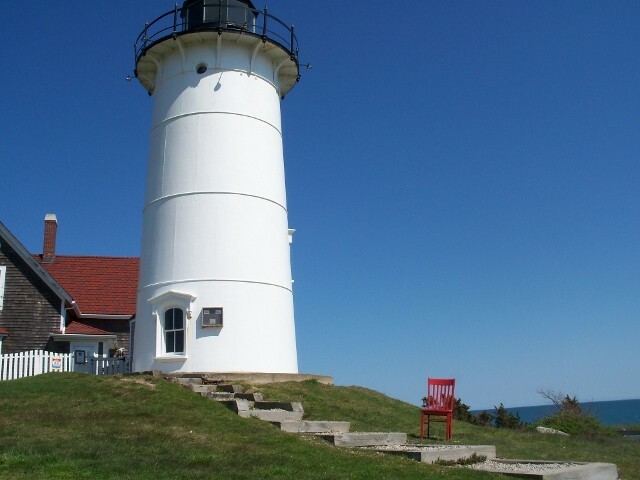 After breakfast at the Captain’s Manor Inn drive down Mill Road to Surf Drive and take a right driving along the beautifully scenic Vineyard Sound until you reach Knobska Lighthouse. Feel free to park and explore. Free guided tours are available on certain dates during the year. After leaving Knobska Lighthouse we suggest you head down Rt 28 towards Chatham at the “elbow” of Cape Cod. Once in Chatham head down Main Street to the Lighthouse. This is an active lighthouse managed by the U.S. Coast Guard and was originally built in 1877. 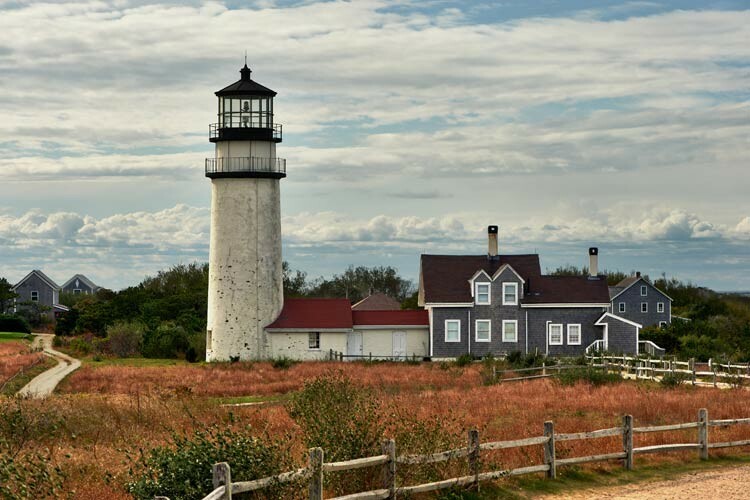 Your next suggested lighthouse stop is in the town Eastham which is part of the National Seashore. Some fascinating history comes with Nauset Lighthouse. The lighthouse was originally built in 1887 and was in Chatham. 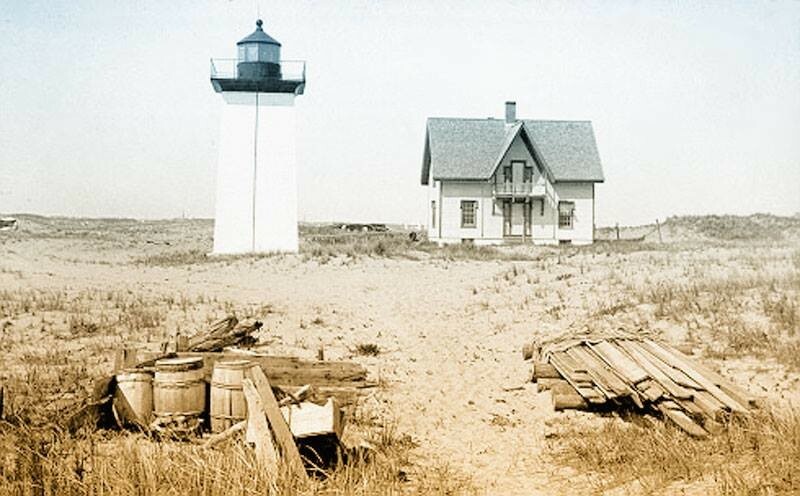 It was moved from Chatham to Eastham in 1923 to replace what was known as the Three Sisters Lighthouses. Since that time the Three Sisters Lighthouses have been restored. A little trivia is that the Nauset lighthouse is the logo for the Cape Cod Chips company. 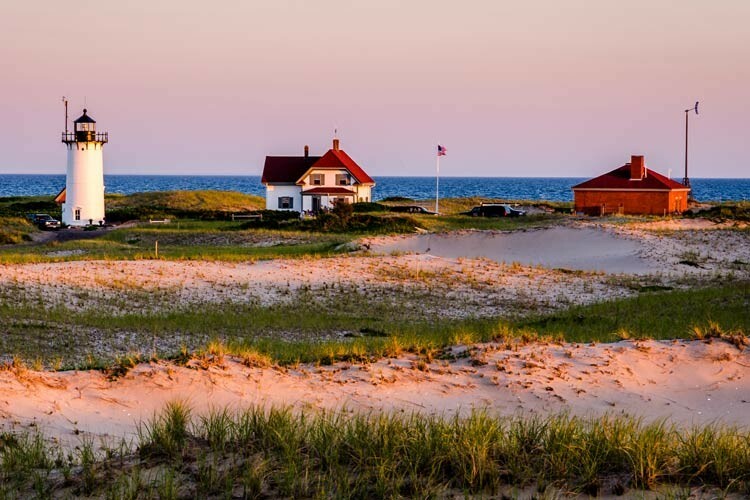 After your visit to the Nauset seashore we suggest you head towards Provincetown at the tip of Cape Cod. There are three lighthouses in Provincetown. At this outermost tip you will find the Wood End and Longpoint Lighthouses which were built in 1872 and 1875 respectively. Race Point Lighthouse was the first lighthouse to be built at the end of the Cape in 1816. Of the three lighthouses only Race Point is opened to the public during the summer season. Now it is time to head back to relax at the Inn and if you feel so inclined you may stop Highland lighthouse which is located in Truro. 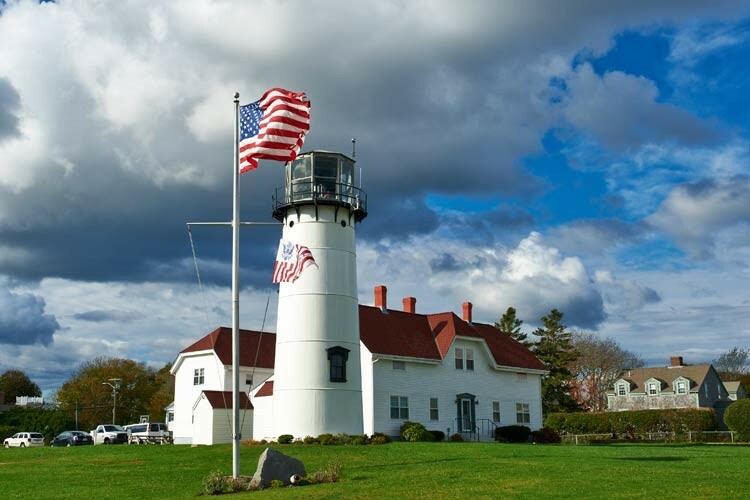 What makes this lighthouse really special is that it was the first lighthouse built in Cape Cod and it was ordered so by George Washington in 1797. When you arrive back at The Captain’s Manor Inn it should be just in time to enjoy a glass of wine on the veranda before taking a stroll into Falmouth Village to enjoy dinner at one of our many wonderful restaurants.